Grapes make wine! Grapes can also keep you healthy & fine! More often than not, we ignore these tangy yet sweet fruits not knowing their incredible potential to keep us disease free! The major credit for all the benefits of grapes goes to resveratrol, a major antioxidant found in grapes apart from incredible grapes nutrition facts! The World Produces 72 Million Tons Of Grapes Each Year! Grapes are a kind of citrus fruits that have originated in the middle east which emerge in a variety of sizes and shapes ranging from red, green, black and blue! Tons of grapes are produced each year with Italy and France being the top producers, but China has recently become popular as the biggest producer of grapes! Where Do All The Grapes Go? Most of the production is sent for the preparation of wine. It takes 2.5 pounds of grapes for the preparation of a bottle of wine! We consume most of the grapes. What Is In Grapes That Makes It Healthy? Grapes are a good source of many prominent nutrients, especially vitamin C and Vitamin K! Consuming just a bowl of fresh grapes can fulfill your vitamin C and vitamin K requirement by 28%. Popping a few of these fruits once in a while can help you stay away from age-related eye disorders, cancers, cardiovascular problems and can also make your weight loss journey much easy! 11 Ways In Which Grapes Benefit Your Overall Health! Here are some amazing benefits of eating grapes that are scientifically proven! One cup of grapes (152 grams) provides only 104 calories with 5% RDA. The lesser the calories, the more is the benefit for weight loss since it is the calories that account to weight. Insoluble fibre in grapes keeps your bowel movement simple and easy! Much of the grapes are filled with water which keeps your stomach occupied for a long period. Also, grapes taste sweet and delicious! Relishing grapes is however not the only step required for weight loss but popping a few grapes every once a while is surely a beneficial tip for weight loss seekers. Drinking red wine can prevent the risk of cancer and so do the red grapes! This is because red wine is prepared from the pulp and skin of red grapes which gives the wine its distinct red colour and cancer-preventing properties. Consuming fresh grape juice or red wine (only in moderation) can also impart similar benefits. You just have to ensure that you do not exceed the limits of consumption. (5 ounces = 1 drink & the limit is 2 drinks per day). Healthy Diet & Physical Activity Can Control Blood Sugar Levels! Diabetes is becoming the biggest epidemic of this century due to poor and unhealthy diet, followed by a lack of physical exercise. This makes it pretty much evident that maintaining a healthy diet (healthy carbs from fresh fruits & vegetables, whole grains, nonfat foods) accompanied by a regular exercise can reduce the risk of the disease. 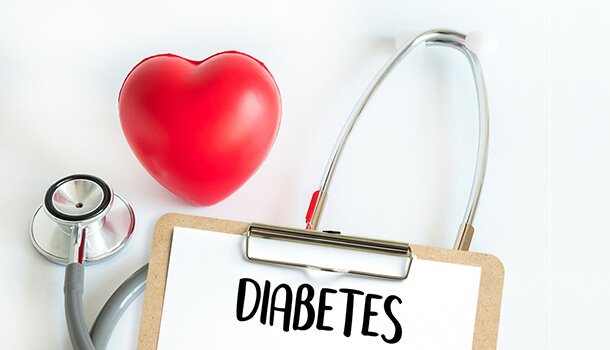 If you are already diabetic, there is absolutely no need to panic since you can still choose to control your blood sugar levels with regular exercise and healthy eating habits. Grapes are a good source of certain compounds like stilbene resveratrol, quercetin, catechins, and anthocyanins which can reduce blood sugar levels, thereby preventing the risks that are associated with diabetes. Grapes are also low in glycemic index which is a superficial advantage for diabetics. Glycemic index is the term that is used to represent the food’s ability to get the carbohydrates digested which has an impact on the rise and fall of the blood sugar levels. A low glycemic index of the food implies that the food does not elevate your blood sugar levels. Grapes are one such fruit that is low in Glycemic index. 4. How Do Grapes Benefit Heart Health? The presence of polyphenols in grapes can reduce the chances of atherosclerosis (the formation of plaque in the arteries). If you have been consuming much of meat, dairy products, fried foods and processed foods, it’s time for you to realize that you are inviting bad cholesterol into your body in the form of saturated fats and trans fats. Regular consumption of red grape juice, in particular, might eradicate LDL and promote HDL. Glaucoma, macular degeneration, cataract, and diabetic retinopathy are common eye disorders that one might develop with the onset of age! The disorders if neglected may even cause partial or complete blindness which is why it becomes incumbent on us to be picky about the foods that we choose! Excessive exposure of the eye’s retina to the blue light is known to damage the cells in the retina, resulting in macular degeneration. Apart from grapes, you can also find lutein and zeaxanthin in other fruits like kiwis, zucchini, spinach, and orange juice. 6. Do Grapes Improve Your Brain Health? The likelihood of Alzheimer’s increases as we age. But, you can choose to prevent the occurrence of such neurodegenerative diseases by keeping a check on diet. A regular intake of red grape juice is known to reduce the chances of Alzheimer. Grapes can also prevent oxidative stress in the brain and increase the flow of blood to the brain. Apart from grapes, other foods that enhance brain health include dark chocolate, oily fish, walnuts, blueberries, pumpkin seeds, and eggs! Although grapes do not alone help in enhancing your overall gut health, these are particularly rich in water and insoluble fibres which makes them an important inclusion in your diet! About 80% of grapes is water which aids in easy digestion and also keeps you hydrated. Apart from this, the insoluble fibre present in grapes can prevent constipation by speeding up the processing of waste and making your bowel movement regular. Be Aware Of The Aftermaths Of Grapes Consumption! For people who have been experiencing loose stools or for the ones who have diarrhoea, grapes are of great disappointment. This is because of the fruit’s ability to cause a smooth and easy bowel movement which might further worsen the condition. Also, grapes contain fructose, natural sugar which might not get easily digested by some who are intolerant to it. So, if you have been experiencing symptoms such as gas or bloating after consuming grapes, you can substitute them with other fruits like blueberries and cranberries which impart almost similar properties equivalent to that of health benefits of grapes. 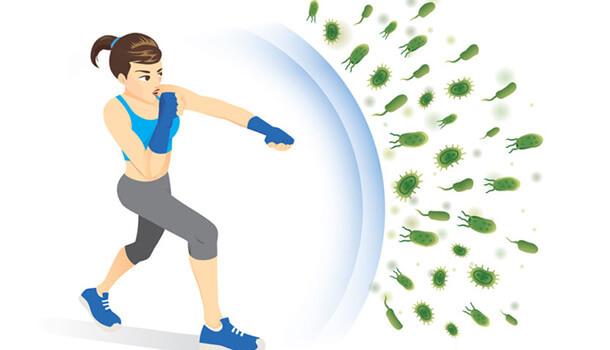 Various respiratory infections, blood disorders, digestive problems and delayed growth and development are the signs and symptoms of a weak immune system. Consuming grapes has an interesting way of increasing your immune power! Grapes can increase the production of a gene called CAMP (Cathelicidin antimicrobial peptide) which can destroy the bacterial cells. A diet that is devoid of the bone-strengthening nutrients may increase your chances of bone disorders like osteoarthritis and osteoporosis. Grapes provide all the above-mentioned nutrients in little quantities except vitamin D and vitamin B12. 10. Eat Grapes To Live Long! Grapes can promote longevity! This is because of the presence of resveratrol in the fruits. Resveratrol is particularly anti-inflammatory and antioxidant in nature! The compound is known to slow down the process of ageing! It can also fight inflammation which is the major cause of most of the chronic disorders. Inflammation is the body’s natural way of defending the microbes but inflammation, if occurs persistently, may lead to several chronic disorders! Skin cells undergo oxidative stress which results in quick ageing! An excessive occurrence of oxidative stress can also result in skin cancers! Oxidative stress is a condition in which there is an excess production of free radicals rather than the antioxidants. Free radicals damage the healthy cells whereas antioxidants fight the free radicals, thereby controlling the damage. The presence of a major antioxidant called “resveratrol” in grapes helps in eliminating free radicals which protect your skin from appearing dull and worn out! To make the most out of grapes benefits for skin, the topical application of grapes can be added advantage apart from regular consumption of grapes. Blend egg white and grapes until a smooth paste is formed. Use a fine brush to apply the face pack all over your skin and neck evenly. Let the mixture get completely dried after which you can rinse your face with lukewarm water and pat it dry! Follow the remedy twice a week and moisturize your skin, every time you apply the face mask so as to prevent skin dryness and breakouts. Grapes are a good source of vitamin C and Vitamin K! Other nutrients present in this citrus fruit include vitamin A, vitamin E, thiamin, riboflavin, niacin, vitamin B6, folate and pantothenic acid. Minerals in grapes include copper, manganese, potassium in good amounts. Other minerals present in minute quantities include calcium, Iron, magnesium, phosphorous and zinc. One bowl of grapes (red or green) which weighs around 151 grams fulfil 9% and 2% of carbs and proteins RDA respectively. There are only 0.2 grams of fats in 151 grams (one cup) of grapes! There are only 104 calories in one cup of fresh grapes (151 grams). Grapes can make your weight loss journey easy, promote your heart health, regulate your blood sugar levels, promote easy digestion, boost your immunity, strengthen your bones, enhance your eye vision, reduce the chances of cancer, reduce the risk of Alzheimer and have an amazing impact on skin due to both topical application and ingestion! Grapes are packed with 80% water and they contain vitamin C and vitamin K in good amounts. Most of the health benefits of grapes are due to resveratrol which is a major antioxidant that has a significant role in enhancing your overall health! Why wait? Have a handful of juicy grapes every once a while to gratify your sweet tooth and enjoy the best benefits!